… aims to gather banking and payment industry professionals and interested hobbyists to discuss latest trends, pitch interesting projects and ideas, and network. We're inviting you to enjoy a beer or lemonade and meet likeminded people in a friendly atmosphere. If you're interested in speaking at an upcoming Finfinity meetup, please get in touch with us at finfinty [at] trimplement.com. Our new event venue is the KI Group Meetup Space, which is excellently connected to public transport and offers lots of parking space nearby. The Parkhaus Wolfsstraße provides nearly 400 parking lots and ranks among the cheapest in the city center of Cologne. It charges only 1,70€/h and only 1€/h after 8pm. When leaving the car park, turn right and follow Wolfsstraße up to the cross road Gertrudenstraße. There, please turn left and follow Gertrudenstraße until you arrive at St. Aposteln Church. Now turn right and follow Mittelstraße until you see the building 12-14 on your right hand side. 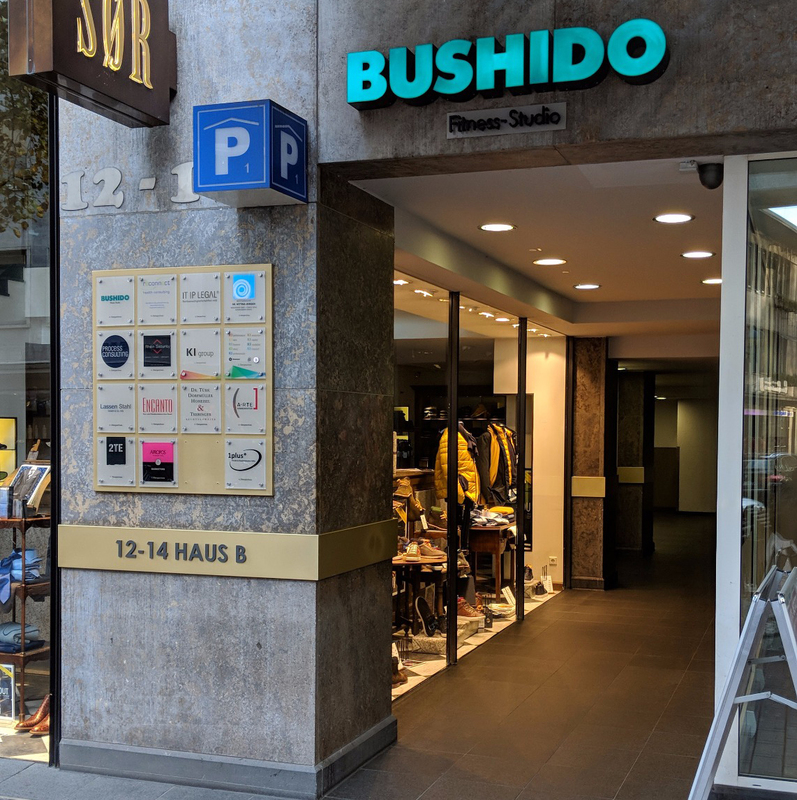 The KI Group Meetup Space is close to the Neumarkt and Rudolfplatz stations, where bus (lines 136, 146) and tram (lines 1, 3, 4, 7, 9, 12, 13, 15, 16, 18) arrive. Arriving at Neumarkt: Leave the Neumarkt station at exit Neumarkt, walk towards and around the St. Aposteln Church (right side), then follow Mittelstraße to get to the KI Meetup Space (on the right hand side). Arriving at Rudolfplatz: Walk towards the old “Hahnentor” gate and pass it on the left. From here, simply follow Mittelstraße to get to the KI Meetup Space (on the left hand side). At the location, please take the lift to the 4th floor. The meetup will be held at the premises of KI Group.